The fall of 1807 marked one year since Meriwether Lewis returned from the Lewis & Clark Expedition. 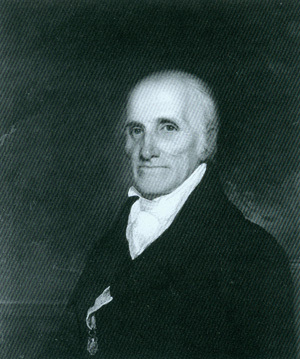 Appointed by Jefferson to the post of Governor of Upper Louisiana, Lewis had yet to leave for St. Louis to take up his duties. He lingered in the east, romance among the many things crowding his mind. Although he had been entranced by several “bewitching gypsies” in that city, Lewis had yet to find that special someone. That November, Lewis thought he had found the ideal candidate. 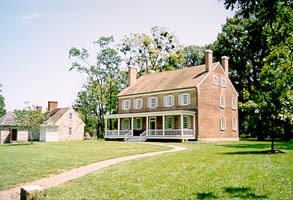 While visiting the Fincastle, Virginia home of George Hancock (the father of William Clark’s intended, Julia Hancock), Lewis made the acquaintance of lovely 16 year-old Letitia Breckinridge and her sister, Elizabeth. 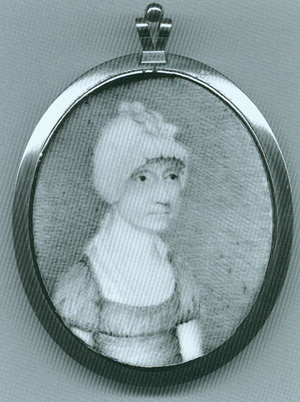 Letitia and Elizabeth were the daughters of prominent Fincastle lawyer and Revolutionary War veteran James Breckenridge, a member of the Virginia legislature and a future Congressman and brigadier general. Of all Lewis’s abortive affairs of the heart, this one seems particularly to have stung. It is not known why Letitia fled from Lewis’s affections. Undaunted Courage author Stephen Ambrose suggests that perhaps Lewis simply came on too strong, or maybe Letitia was put off by his heavy drinking – though Lewis would hardly have been unique among Virginia gentry in that respect. It may have been all too obvious that Lewis was still struggling with the problems of re-entry into “normal” life following the high adventure and independent command of the Lewis & Clark expedition. Or perhaps Letitia simply had someone else already in mind. There is no further real mention of romance or courting in Lewis’s letters and papers. The press of business and increasing financial woes may have made courting impractical. Or maybe Lewis simply never found the right person. He was destined to die in 1809, aged 35, a “musty, fusty, rusty old bachelor” to the end. As for Letitia, her marriage to Robert Gamble appears to have been a successful one. She bore Gamble nine children. Eventually they moved to Tallahassee, Florida. 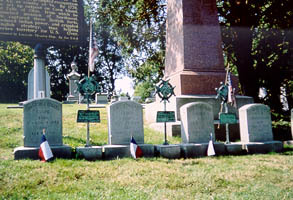 During the Civil War, several of Letitia and Robert Gamble’s sons served as officers in the Confederate Army. Letitia survived the war, dying in Tallahassee in March 1866, aged 75. If Letitia’s maiden name, Breckinridge, rings a bell, it should. 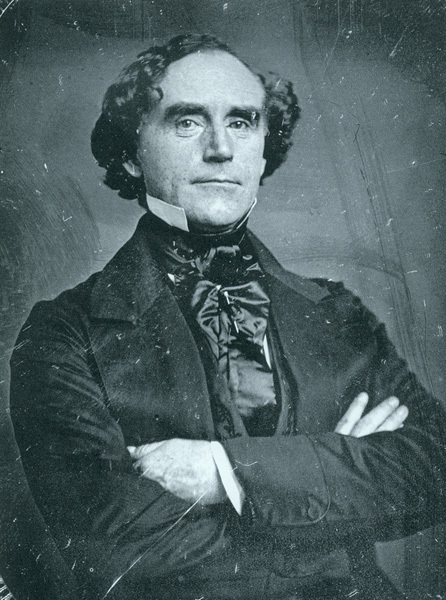 Letitia’s uncle, John Breckinridge, was the progenitor of the famous Breckinridge dynasty of Kentucky, which produced generations of illustrious politicians, military officers, social activists, and diplomats. The most famous member of the Breckinridge clan was John C. Breckinridge, who served as Vice President under James Buchanan and ran unsuccessfully for President in 1860, coming in third to Abraham Lincoln and Stephen A. Douglas. 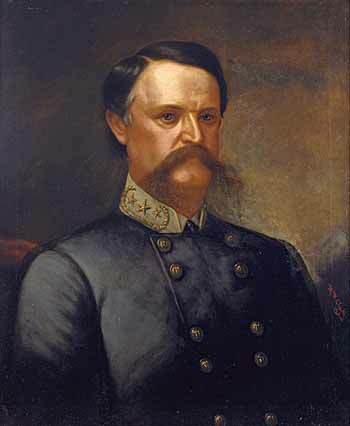 Although Kentucky decided to remain with the Union upon the outbreak of the Civil War, Breckinridge broke ranks with his state and sided with the Confederacy, serving as a general in many of the major battles in both the western and the eastern theater. Named Confederate Secretary of War in early 1865, Breckinridge did his best to broker an honorable peace for the Confederacy. Historians owe him a debt, as he was instrumental in saving the Confederate government archives from destruction during the fall of Richmond in April 1865. Fearing he would be put on trial, Breckinridge fled the country after the Confederate surrender, but was granted amnesty and returned to Lexington, Kentucky, in 1869. He died there of cirrhosis in 1875. 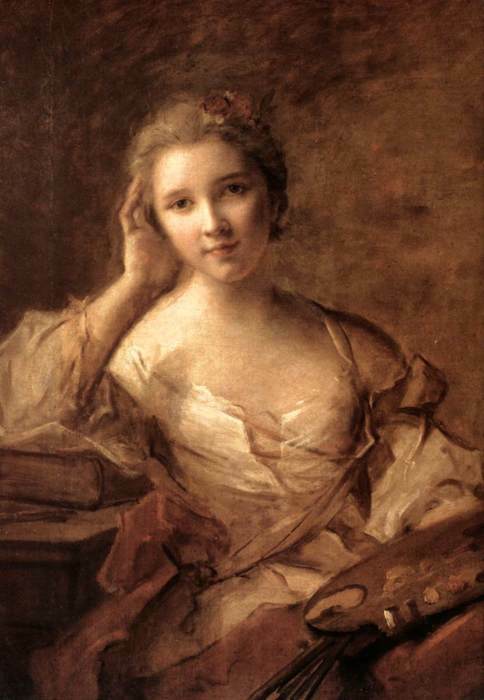 Postscript: My frequent commenter Shannon Kelly found this portrait of Letitia Breckinridge Gamble in the inventory files of the Smithsonian. It was painted by Cephas Thompson (1775-1856). Excellent sleuthing, Shannon! Thanks! Meriwether Lewis was not the first famous explorer and journalist in his family. That honor belongs to Dr. Thomas Walker, one of the first white men to see Kentucky and the first to provide a written account of his trip through the Cumberland Gap. Originally from Staffordshire, England, Thomas Walker’s ancestors arrived in America in 1650 and soon took a prominent place in colonial Virginia. Born in 1715 in King and Queen County, Virginia, Thomas’s early life reads like a resume for a successful Tidewater gentleman. Educated at the College of William and Mary, he studied medicine in Williamsburg under his brother-in-law, Dr. George Gilmer. In 1741, Thomas married the widow of a very rich, prominent Virginia gentleman, Nicholas Meriwether (the great uncle of our own Meriwether Lewis). Thomas and Mildred built a home, Castle Hill, on her 15,000-acre estate in Albemarle County, east of Charlottesville, where they raised a whopping 12 children. Walker loved the wilderness, and the exploration bug bit him hard. He began making a name for himself as an explorer and surveyor. 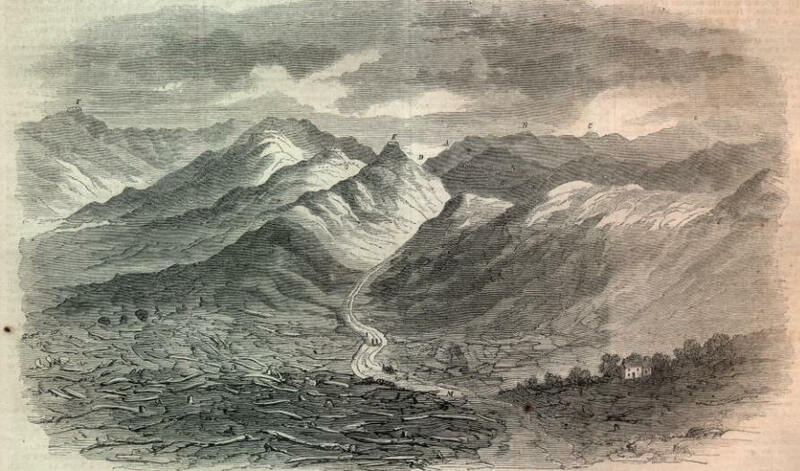 As early as 1743, Walker led an expedition to the virgin lands to the west, getting as far as present-day Kingsport, Tennessee. In 1749, Walker joined a number of other prominent Virginia men in establishing the Loyal Land Company, which petitioned the colonial government of Virginia for a huge grant of land west of the Allegheny Mountains. In addition to Walker, charter members of the company included Peter Jefferson, Joshua Fry, James Maury, and Thomas Meriwether (Meriwether Lewis’s grandfather). This was the famous Cumberland Gap, which would form a key passageway on the Wilderness Road through the Appalachian Mountains, the primary route used by western-traveling settlers for the next fifty years. Walker died at his home in Albemarle in November 9, 1794. By that time, the Loyal Land Company had sold more than 200,000 acres, and the land that would be known as Kentucky was home to 38,000 settlers, most of whom had traveled there through Walker’s discovery, the Cumberland Gap. Walker is immortalized in the great Appalachian folk song “Cumberland Gap,” which in some versions contains the lyric, “The first white man in the Cumberland Gap was Old Doc Walker, an English Chap.” Here’s a fun version by the great British skiffle king Lonnie Donegan. Meriwether Lewis Clark Sr., about 1850 (age 40). A West Point graduate and prominent architect, Clark at this time was serving as the Federal surveyor general for Missouri and Illinois. Everyone knows that the Kentucky Derby is “the most exciting two minutes in sports.” This year’s Derby is fast approaching on Saturday, May 1. So if you have any business to transact with people in Louisville, better do it now — I’ve never been there during Derby Week but I understand the whole city unofficially shuts down. What you might not know is that that the Kentucky Derby has a Lewis & Clark connection. Churchill Downs, the famous Louisville racetrack that hosts the Derby, was founded in 1875 by Meriwether Lewis Clark, Jr., the grandson of William Clark. I am going to try to learn more about William Clark’s children. For one thing, several of them will be characters in my next book, and I would like to understand them better. William Clark had seven children in all: five children with his first wife, Julia Hancock and two with his second wife, Harriet Kennerly Radford. Three of the children died as youngsters. From reading between the lines of Clark biographies like William Clark and the Shaping of the American West and Dear Brother, I gather that his four surviving sons — Meriwether Lewis Clark, William Preston Clark, George Rogers Hancock Clark, and Jefferson Kennerly Clark — all struggled in various ways, though few details are given. Clark’s oldest son, who went by M. Lewis Clark, was born in 1809 not long before the death of his namesake, his father’s best friend and partner in discovery. 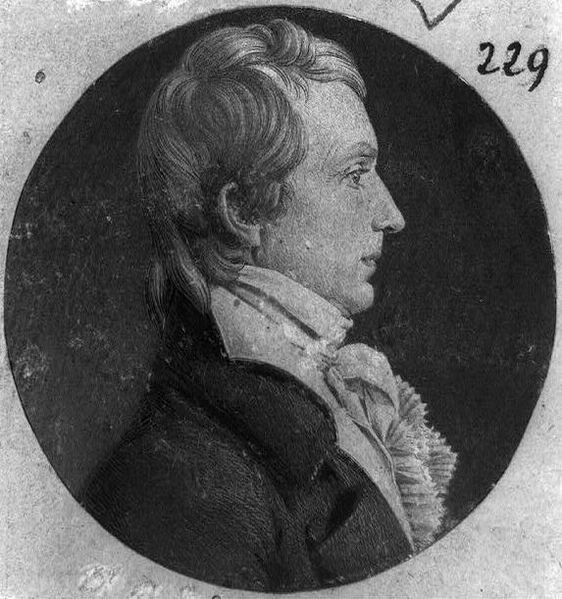 M. Lewis was said to greatly resemble his father physically, but not in personality. Unfortunately, William Clark spoiled all his children, and M. Lewis grew up to be a high-tempered, shallow, and rather selfish man. He attended West Point, where he became good friends with a classmate by the name of Robert E. Lee. But unlike Lee, M. Lewis didn’t take to the military life (though he would later volunteer to serve in both the Mexican War and the Civil War). As soon as he could, he resigned his commission and returned to St. Louis, where he became a successful architect. M. Lewis married a Louisville heiress named Abigail Prather Churchill. Unfortunately, like his father, it was Lewis’s fate to be bereaved. 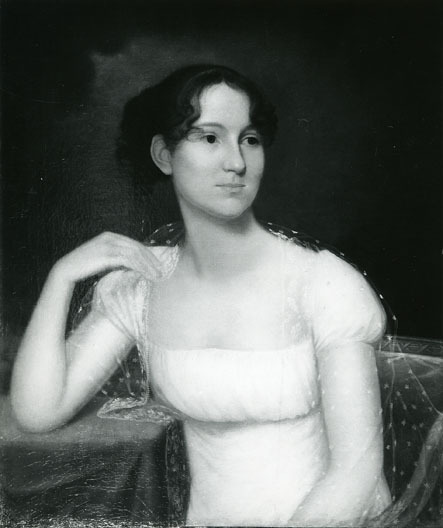 Abby died at the age of 35 a few days after giving birth to her seventh child. The oldest child was only 13, and in his bereavement Lewis turned for help in raising them, sending the children to live with Abby’s relatives in Louisville. We turn our attention now to the third son, Meriwether Lewis Clark, Jr., known in the family as “Lutie.” Lutie was only six when his mother died, and he was raised by two bachelor uncles who raced thoroughbreds. Two family traditions about Lutie hold the key to his role in history and his eventual fate. One is that during his Kentucky boyhood and his extended trips to Europe as a young man, he came to share his uncles’ passion for horse racing. The other is that he was spoiled rotten. By 1873, Lutie had grown into a great big bear of a man. At age 27, he was newly married and fired up to start making his own mark on the world. During a stay in Paris, he had seen pari-mutual betting machines in use on French racetracks. The machines eliminated bookmaking and other unsavory aspects of the horse racing trade. Lutie proposed to his uncles and other Churchill relatives that they back him in establishing a race track that would showcase their championship racing stock and use the innovative French system of betting. 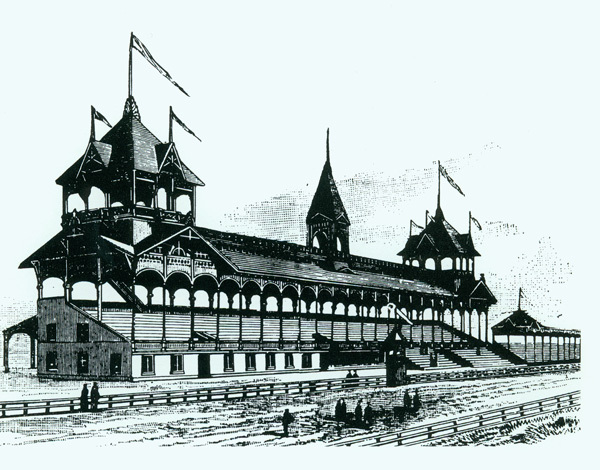 The family loved the idea, and Churchill Downs was built on family land and opened on May 17, 1875. A three-year-old race, known as the Kentucky Derby, was held that day, though it would not become the premier attraction at Churchill Downs until the early 20th century. Churchill Downs became Lutie’s life and obsession. As track manager, he pioneered racing rules and standards that are still in use today and was a leader in creating the stakes system, on which the Breeder’s Cup is based. Unfortunately, Lutie Clark’s talents were obscured by his personality. There seemed to be nothing of his brave and lovable grandfather in him. Instead, he was bad-tempered, verbally abusive to those he considered his inferiors (which was just about everyone), and arrogant. 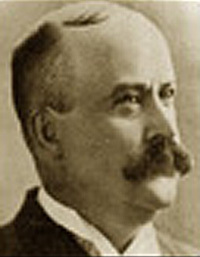 Meriwether Lewis Clark Jr. "Lutie" later became known as "Colonel Clark." Lutie was even known to pull a gun to frighten people who did not show him the proper deference. In 1879, someone took him up on it and shot him instead. The story was that Lutie accused a prominent horse breeder of failing to pay his entry fees for the track. The breeder took it as a matter of honor and went to Lutie’s Galt House office to demand an apology or satisfaction (a duel). The two men got into a brawl and the breeder shot Lutie in the chest. Lutie recovered and no charges were ever filed. Not long after, his wife moved out, taking their three children with her. (She would eventually move all the way to Paris — France, not Kentucky.) Lutie continued to manage the track in the 1880s, but in spite of his success, he managed to alienate his Churchill relatives one by one. In 1891, the family moved against him and fired Lutie from most of his duties at the track, though he did remain as presiding judge. Two years later, cruel fate caught up with Lutie in a big way, and he was wiped out financially in the stock market meltdown of 1893. He turned to the only thing he knew: racing. Lutie managed to find work as a presiding judge at racetracks across the country. But his troubles had not humbled him. He got into an argument with a bartender in Chicago who took umbrage when Lutie branded Chicagoans “thieves and liars.” Lutie drew a gun on the bartender and forced the man to apologize to him at gunpoint, an incident that made the papers in both Chicago and Louisville. In 1899, Lutie would again pull out his pistol. This time, it was to die by his own hand, apparently unable to face fears of getting older and the isolation he had brought upon himself. He was 53 years old. On the lighter side, or maybe the heavier one, Lutie Clark wasn’t exactly a skinny man. Maybe he partook too liberally of one of the best aspects of a visit to Louisville, Derby Pie. 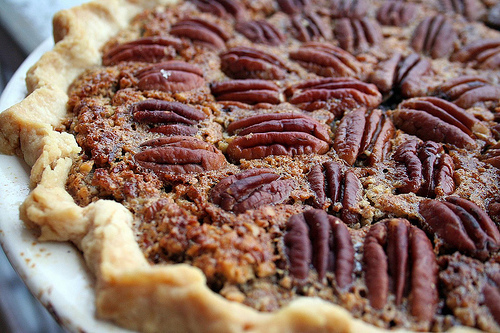 The recipe for Derby Pie is a secret, but it’s really easy to make a similar pie at home. So when you settle in for this year’s Run for the Roses, raise a mint julep or a pie fork to William Clark’s grandson Lutie Clark , a great figure in the history of sports, if not exactly a nice guy. The place General Clark called Mulberry Hill turned out to be a rambling plantation along a clear, bubbling creek. 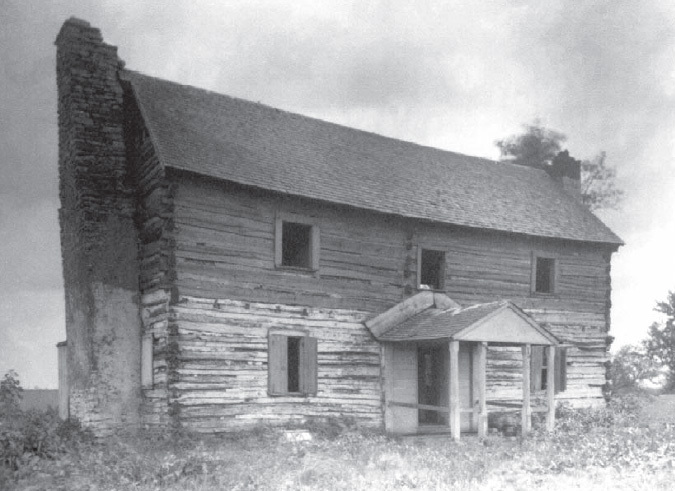 A large, two-story log cabin stood in the center of the estate, smoke curling from stone chimneys on either end. Beyond the house, Michaux saw fields of wheat and corn and a new gristmill, its wheel churning as creek water flowed over it. Beyond was a well-maintained orchard of apple, pear, and nut trees. Michaux allowed himself a small sigh of relief. 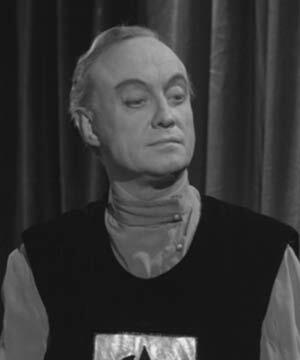 Apparently General Clark wasn’t always bourré. As Michaux found out, the prosperity of Mulberry Hill was less due to the efforts of George Rogers Clark, by then a struggling soldier-of-fortune, than of his parents, John and Ann Clark. 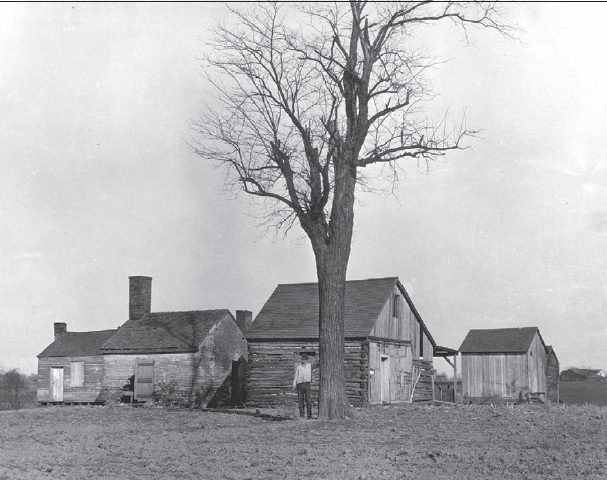 But because he could not afford a home of his own, George lived here much of his life and, when he could, helped his father direct the farm and mill. 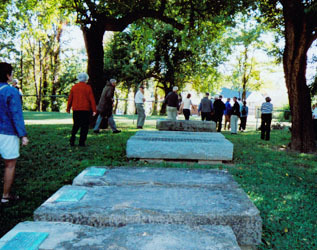 You can visit the site of Mulberry Hill today at Louisville’s George Rogers Clark Park. 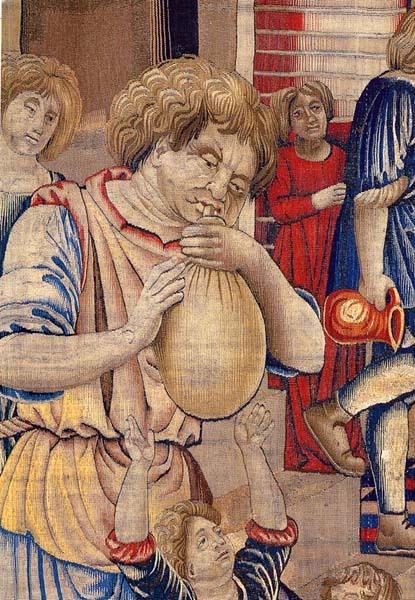 An ancient tradition: A tapestry called "December" shows a man inflating a hog's bladder for a child, circa 1501-04. Design by Bramantino, woven by Benedetto da Milano. The Clarks were a family of the highest status on the Kentucky frontier, and from its carriageway (a half-mile drive planted with sheltering locust trees) to its furnishings (fine silver, china, and furniture made by the best Virginia craftsmen), Mulberry Hill bespoke that status in a way that was both impressive and welcoming. This house was a beautiful example of its type, a frontier log home that was never covered with a brick or clapboard facade. 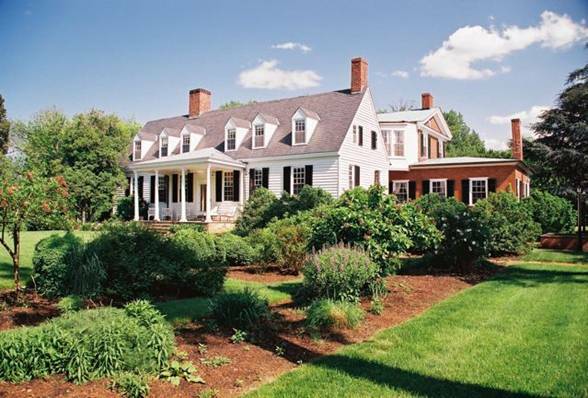 Though unusually large, the design was classic — four rooms on each floor divided by a center hall — as well as a separate kitchen, stone and brick slave cabins, a spring house, and a grist mill. William Clark inherited Mulberry Hill when his father died in 1799. (John was forced to disinherit George to prevent any money or property he received from being seized by debt collectors.) William and George Rogers spent several years trying to make a go of the plantation, only to be enveloped by a series of semi-comic, semi-tragic disasters. 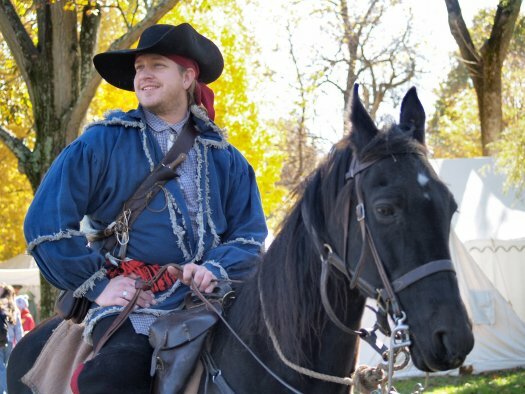 William Clark was many wonderful things, but he was not a farmer. Between floods, fires, and George’s drinking, he was more than ready to sell Mulberry Hill to his other brothers, Jonathan and Edmund, in 1803, just a few months before his old friend Meriwether Lewis offered him a commission to help command the Corps of Discovery. When Jonathan died in 1811, he left Mulberry Hill to his oldest son, Isaac Clark. Isaac never married, and in some ways the remnants of the Clarks and their lively home seems to have become something of a museum as he passed into old age. Years later, historian Temple Bodley, Isaac’s great-nephew, remembered the old man treasuring items such as the family bible, Ann Clark’s spectacles, the backgammon board used by the Clark brothers, and even old towels and bedding. Two slaves, named Aunt Rachel and Jake, kept everything in perfect order, and Bodley remembered how Jake had to rub and polish the old mahogany dining table from its shining top right down to the legs. Apparently, Aunt Rachel and Jake found this life less than compelling, for they seem to have left in 1863 following the emancipation of the slaves by President Lincoln. By then age 76, Isaac could not stay at Mulberry Hill alone. When he moved into town to live with a brother, Mulberry Hill stood empty for the first time in 80 years. The lifestyle once lived by the Clarks was dependent on slave labor, and in the devastating aftermath of the Civil War, no one had the means to fix up Mulberry Hill or live there again. At some point, the house and land passed out of the family, and in 1900, Mulberry Hill partially collapsed. 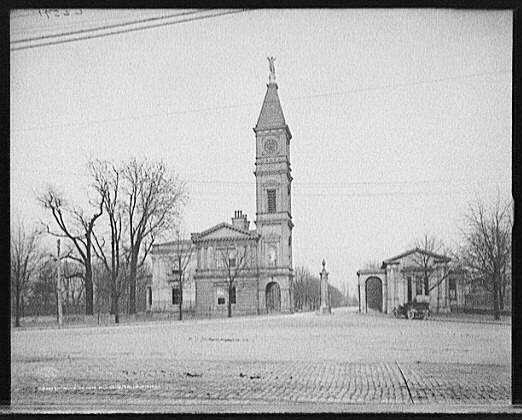 By 1907 it was being used as a wagon shed. Ten years later, the city of Louisville razed Mulberry Hill in a fit of patriotism and constructed Camp Zachary Taylor, a World War I training camp, in its place. It was too late to do anything to preserve the house, but after the war, a number of Clark family descendants banded together to buy back the estate. There they established George Rogers Clark Park. Today there’s a lively park here with tennis courts and a playground. You can visit the family cemetery, and we paid our respects to the kindly John and Ann and several other family members. I’m sorry the house no longer stands, but I couldn’t help but wonder if John and Ann Clark might not have preferred the park full of kids. A loss to history, but perhaps a more fitting tribute after all.